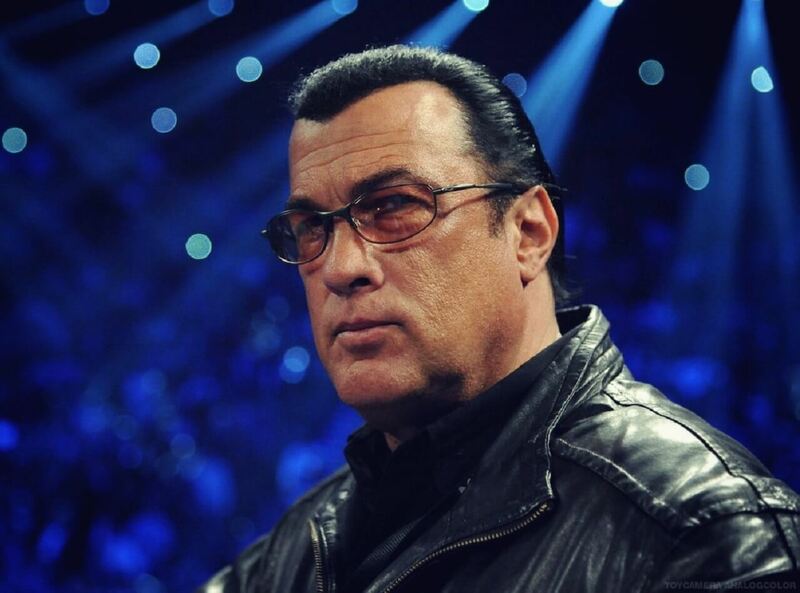 Few actors will ever reach the levels of Hollywood stardom as Steven Seagal. The American producer, director, martial artist, and musician also holds Russian and Serbian citizenship and is a 7th dan black belt in Aikido. He started his life as a martial artist instructor and was the first foreigner to operate an Aikido dojo in Japan. He then moved to Los Angeles and started working as a martial arts instructor on films such as Never Say Never Again. He famously broke Sean Connery’s wrist, by accident, during production. Active since 1988 he made his own acting debut in Above The Law in 1988 and then played Navy SEALs counter-terrorist expert Casey Ryback in Under Siege. He has starred in tens of movies since, always as an all-action martial arts hero. Because of this, Steven has become a cult figure in cinema and has starred in many direct to video films and cult classics as well as filming three seasons of his own reality show Steven Seagal: Lawman, which depicted him performing duties as a reserve deputy sheriff. Aside from acting, Steven has also founded his own Steven Seagal Enterprises and began to market his own energy drink, Lightning Bolt. He is also known as an animal rights activist, environmentalist, his friendship with Vladimir Putin and for his films having themes of affiliation with the CIA, Special Forces or Black Ops. He has also released a number of albums with him mixing pop, world, country and blues, and has toured Europe and The States with his band.